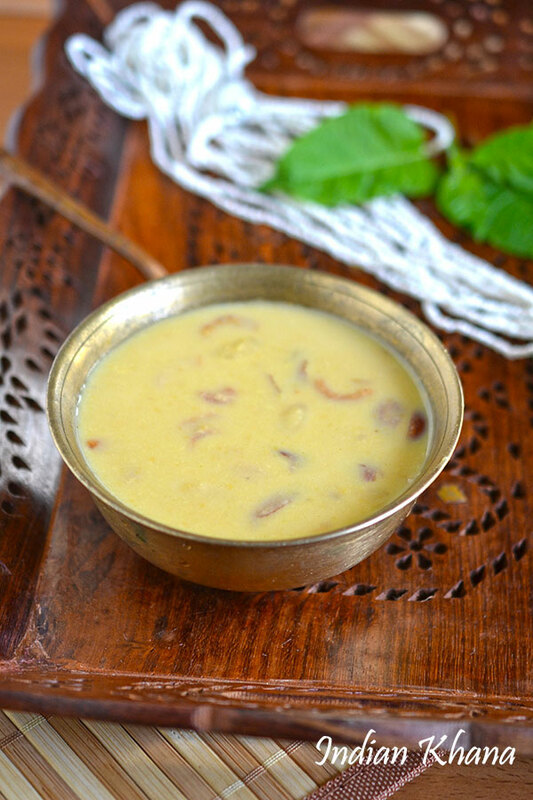 This Kadalai Paruppu Payasam or kheer is not only works great as dessert or sweet but also wonderful Naivedyam recipe. 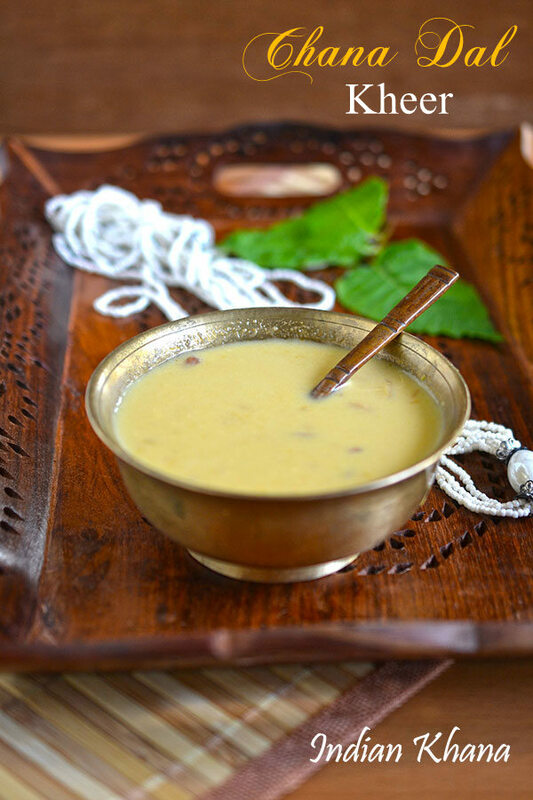 If you want to try something different kheer then this chana dal kheer is good option. One of cutting short time is if you are making anything with chana dal like normally when I make chana dal I take out little amount of cooked dal to make this kheer. I made this kheer for Naivedyam and we all loved it, it's taste very creamy and delicious and not very sweet ( I used less jaggery) which is just perfect for us. You can adjust jaggery according to suit your needs in this recipe or replace it with condense milk too if preferred. 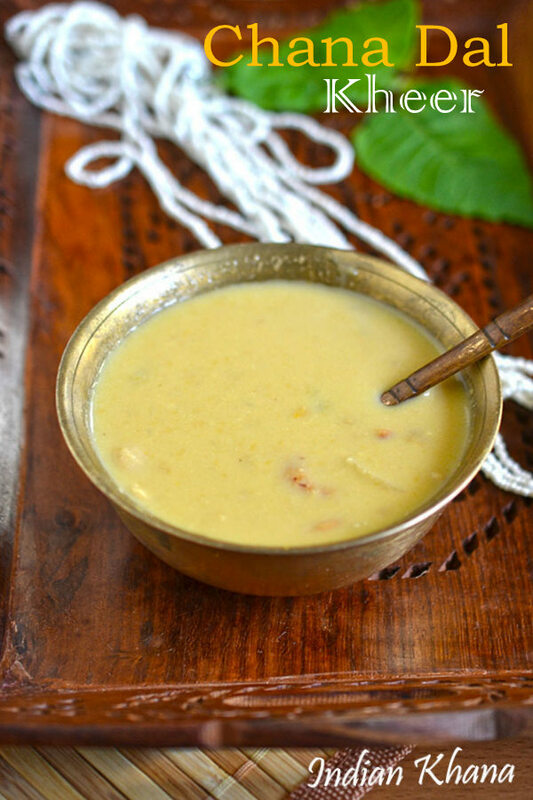 Chana dal kheer is easy kheer or payasam made with chana dal, milk and jaggery. Rinse chana dal well and pressure cook with 1.5 cups of water for 4 whistles, if doing it in open pan then cook until dal becomes soft. While chana dal is getting cooked, in a pan mix jaggery and 1/4 cup of water cook until the jaggery dissolves completely, let it boil for 2 mins and off flame. In another pan heat ghee and roast almons, cashews until light brown, add cooked dal and saute for 2 mins or until aromatic and light brown. Add milk and bring it to boil, simmer for 5 mins in medium flame. Keep flame in slow and add jaggery mixture, cardamom powder mix well. Simmer for 2mins and off flame, don't it to boil to avoid milk from getting curdle. 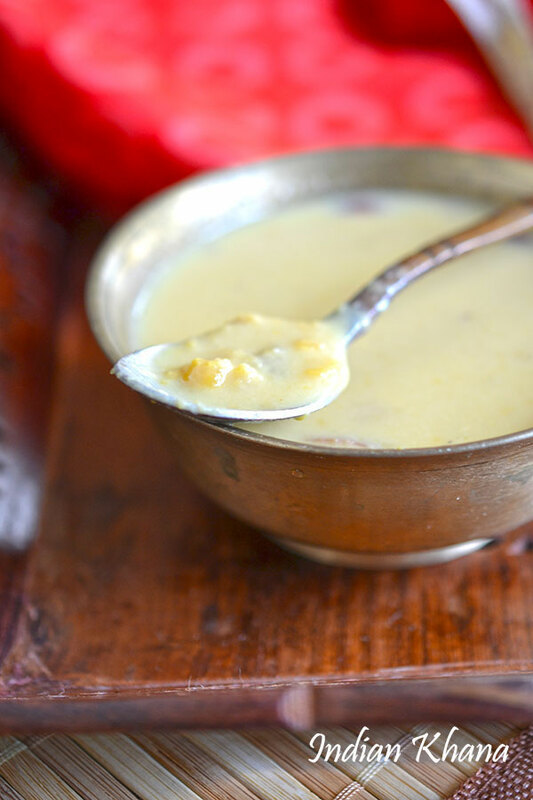 Add jaggery only after keeping the flame in sim and after that simmer don't let kheer boil. Adjust jaggery to suit your needs. 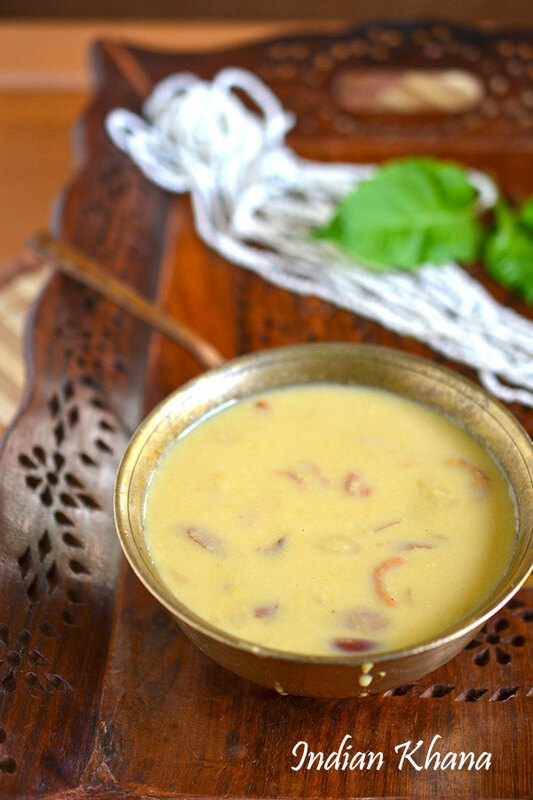 Delicious, easy chana dal kheer.